Thank you for visiting our website. Daylight Concepts, LLC is the Exclusive Solatube Premier Dealer serving the greater Tampa Bay / Lakeland / St Petersburg / Clearwater / Sarasota / Venice metro areas, now also serving Port Charlotte, Fort Myers, and Naples metro areas!. We are a Florida State Certified Roofing Contractor (Lic# CCC1331662) with 18 years' experience with installation and sales of Solatube Daylighting Systems, Solar Attic fans, skylights, and roofing. As an exclusive authorized Solatube Premier Dealer, we bring our customers incomparable Quality, Price, and Service. 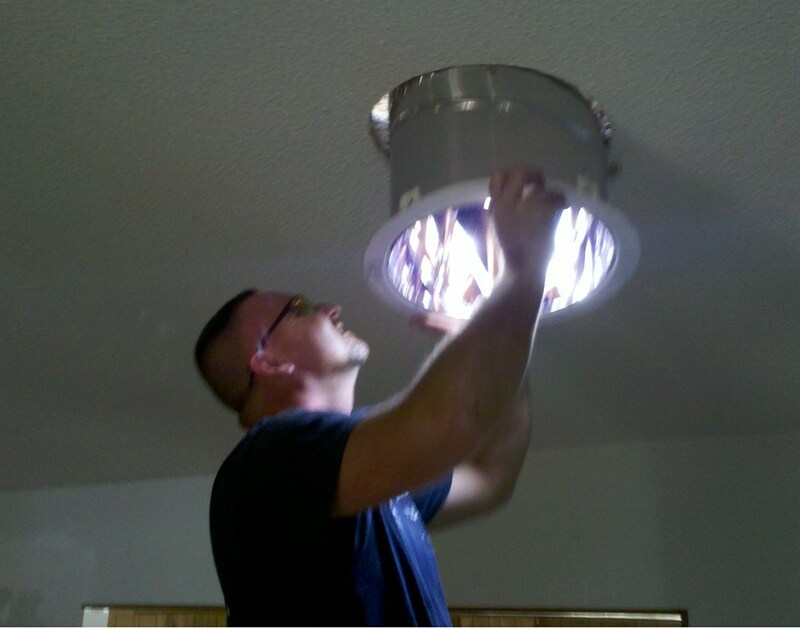 Quality- Our quality starts with our factory trained installation consultants - we are the ONLY Solatube authorized PREMIER DEALER in the greater Tampa Bay area (beware of imitator installers and knock-off products!) Our only business is Solatube products, so you know you will get the right part, the right installation, and expert service. Also, we offer the full array of Solatube Options and Accessories to compliment your Solatube experience. We carry the complete line of all Solatube products, including Solar Attic fans with experts that install it promptly, courteously, and professionally. We give free estimates, replace your old tubular skylight, update your Solatube and offer small roof repairs. PRICE - As the exclusive Solatube authorized Premier Dealer, we buy factory direct from Solatube International with no middlemen. This guarantees we have the right part, at the very best price you will find. Since our installers are dedicated to only installing Solatube products day-in and day-out, this allows us to keep our costs low and pass on the lowest possible labor cost to our customers. Service - As a state certified roofing contractor, you can rest assured that you will get the highest quality service and installation. WE PERFORM FREE ROOF INSPECTIONS AT THE TIME OF THE INSTALLATION. Also, we guarantee you will be getting the optimum performance from your Solatube Daylighting System with the right parts, and service that does not end with the installation. As a matter of fact, the vast majority of installations we do are from repeat and word-of-mouth customers. We appreciate our customer´s loyalty and know that trust and confidence are built one customer at a time. See what our happy customers have to say on Google and Facebook. With the support of the entire Solatube network, we offer the most expert knowledge and experience with Solatube installation applications in both residential and commercial and can offer our customers the highest level of service and support in any area. We welcome your questions and will strive to earn both your confidence and complete satisfaction. CONTRACTORS PRICING Available, BEST IN THE AREA --- "Do It Yourselfers" also welcome. As your local Premier Dealer, you can count on us to carry the full line of all Solatube products and accessories. We had two 290ds units installed in our kitchen/great room today and we are delighted with the results. I thought I'd share my before and after photos with you.Here's what our kitchen looked like at 9:30 this morning. It was already fairly light outside, but very little light made it into our kitchen. And here's what it looks like after installation. There were NO electric lights on in the house when this picture was taken. All light is coming from our new Solatubes. It's amazing!! 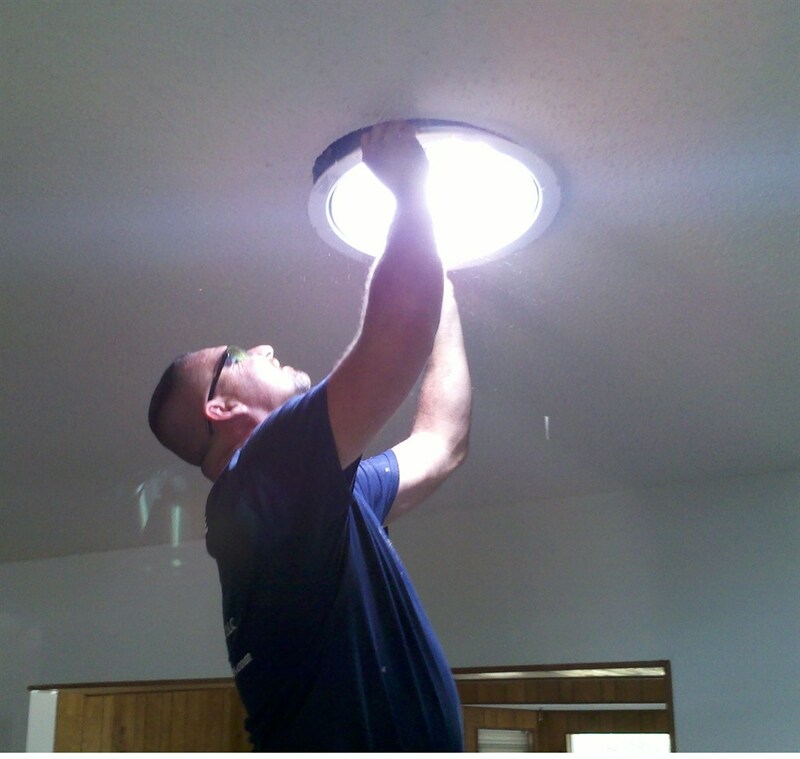 The Solatube installers from Dayllight Concepts were extremely knowledgeable and courteous. We will be sure to recommend your service and products to our friends. I've also attached these photos to this email in case you have difficulty seeing the embedded photos. I chose Daylight Concepts because of the many positive reviews I read online, and had a very good experience. The dispatcher, Beth, was very friendly, helpful, and accommodating when I changed my mind about which skylights I wanted the day before the install was scheduled. The installer, Ash, was very professional and efficient. He was also very patient and helpful in explaining all my options as I changed my mind (again) the morning of the install. As he performed the work, Ash was fast yet deliberate, and took great care to minimize the mess and noise. It started pouring rain shortly after he installed them, and has rained since, and there was no leakage. And my solar tubes are absolutely stunning. They transformed my dark rooms into beautiful light filled spaces. I've had many positive comments about my Optiview, in particular, which throws rainbows into my kitchen. This letter is to commend the service I received from your installer. Not only was he knowledgeable in installing my Solatube, he was very neat and corteous. He cleaned up his mess after completing the job and followed up with a phone call to make sure that I was completely satisfied. What a great asset he is to your company. I will definetely be recommending Daylight Concepts to all my friends and associates. It was truly a pleasure to do business with you. Thanks Greg. We love our solar attic fans! They have made a huge difference. Just wanted to drop you a note and thank you so much for my light tube. Your installer did a fantastic job and turned our old dark living room into a bright and open space. No more need to keep the lights on anymore during the day. Now I can't wait to redo our kitchen to add another light tube to our house!! The Solatube Solar Attic Fans help reduce buil up heat inside our attic space. We love them. Not sure why my e-mail from last Sunday got lost, but I'm glad to get these two additional tubes in our home. As with the first two, what a difference they make! Mike does good work, and is a nice guy. Finally, thanks for the tip on the "green" credit this tax year. We'll remember to look it up when we're doing the dreaded taxes. Take care, and thanks again. We have and will continue to recommend you guys. Daylight Concepts installed 5 Solatubes & one Solar Star attic fan in my home. I absolutely love them because of the difference they made in my home. In fact my bathrooms are so bright that company tries to turn the lights off when leaving because the room is so bright they think the lights are on. The product is wonderful & I would like 4 more!!!! Whenever anyone talks about installing this type of tube in their home I always stear them to Daylight Concepts. I found them to be knowledgable about the product & placement & were concerned about my satisfaction. No complaints.....only praise for the company's products, owner & employees. We have 3 Solarstar Attic Fans installed a month ago and we are already noticing the difference. The AC does not run as often, and to tell you the truth, we forget they are up there because they do all the work without making any noise and they don't have to be turned on or off. The installer was very pleasant and did a super nice job. I will be recommending Daylight Concepts to all of my friends and neighbors. "We use testimonials and reviews to assess whether we're doing a good job keeping valued customers like you happy. Please visitAngiesList.com/Review/2086093 or superpages.com in order to grade our quality of work and customer service. We want to thank our great customers for allowing Daylight Concepts to post their comments on this page and taking the time to give us a review. I am thrilled with the solar tube installed in my kitchen area which lacked natural light. The 14" tube allows so much light in that I find myself checking to be certain the overhead lights aren't on. Daylight Concepts worked with me to provide my HoA with all the paperwork they required to approve the installation and the office staff was very helpful when I had to reschedule the installation. Although the skies were blue when the installers arrived they recommended rescheduling due to rain in the forecast and by early afternoon they were right! I'm a very satisfied customer. We had three Daylights installed about two weeks ago and are delighted with them. The installation and installers were A+ and the amount of light we have in our home is just what we wanted. We have an older ranch style home in Dunedin and our main living area is very open (kitchen, dining and tv room) but it's also very dark with little natural light coming in. We had Daylight Concepts come out and install 3 Solatubes and could not be happier. They were wonderful and helped us decide the size and placement for the area we were trying to brighten up. They were done in a couple of hours and it completely transformed the space to a more inviting area. They did a wonderful job and we highly recommend them! Daylight Concepts installed our Solatube exactly as promised. The installers were professional and fast! Happy to recommend them. Daylight Concepts customer service was hassle free, courteous and on time service. A well done service no regrets. Outstanding all around! From phone call to install was 2 days. The job was done quickly and professionally. Could not even tell that a technician had been there other than the awesome solar tube! The solar tube is outstanding and completely changes a dark and dank hallway to a well lit comfortable space. The kitchen solar tube has completely changed the room. Daylight concepts is highly recommended by us for an economical and efficient lighting solution. We are very impressed with Daylight Concepts and delighted to recommend them. Their product is great - the solatubes they installed took our home from being very dark to being beautifully lit and sunny. It's a remarkable difference. Their service is great - they were prompt, professional and highly skilled at installation and followup. Their leadership is terrific - Rene Ayala has gone the extra mile and beyond to make sure we are happy with the product and the service. He has been respectful, eager to help and a pleasure to work with. We can't say enough about how impressed we are.